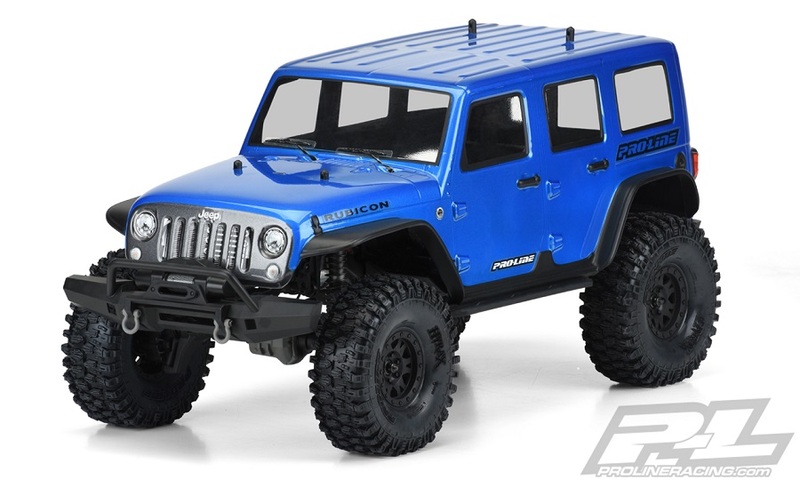 Pro-Line is ready to unleash the officially licensed Jeep® Wrangler Unlimited Rubicon body for your Traxxas® TRX-4®! This Pre-Painted Pre-Cut body will completely transform your Truck into an Ultra Scale modern Jeep® Rig perfect for Rock Crawling. 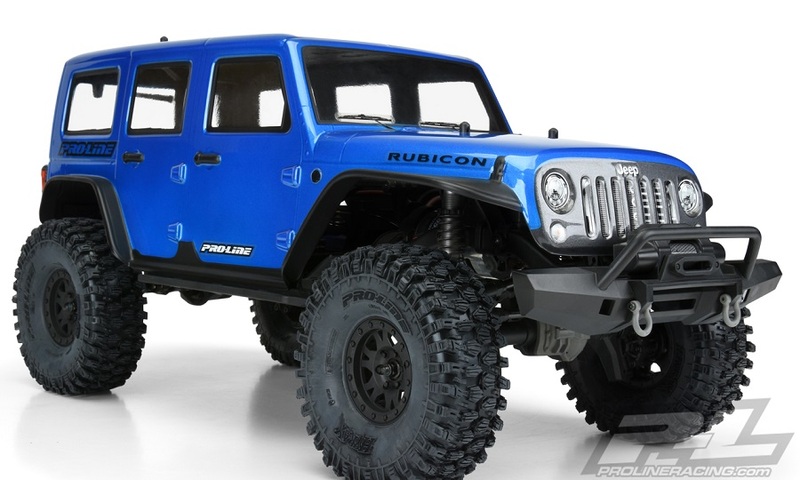 The details from the full-size Jeep® Wrangler Rubicon have been faithfully recreated and feature a few molded in full-size style upgrade parts like rock sliders and tube fenders. Even the color that has been pre-painted was painstakingly matched to the real full-scale counterpart! 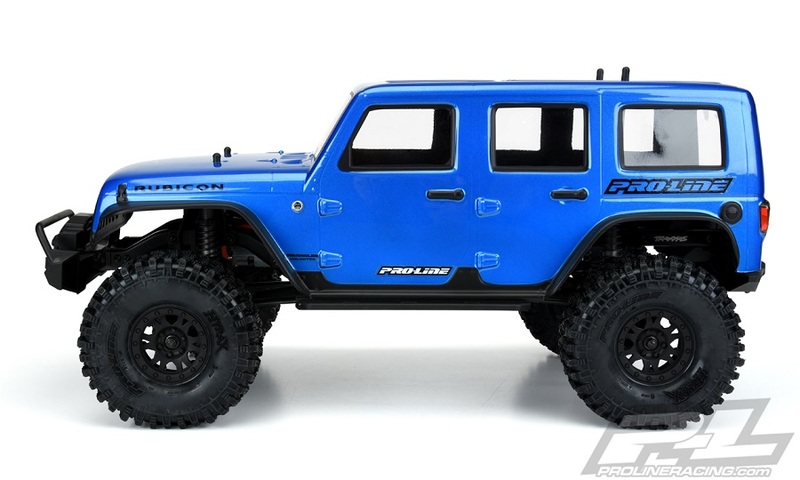 This Pro-Line body is much lighter than the stock TRX-4® body for lower center of gravity and improved crawling performance. The Jeep® Unlimited Rubicon body also features improved clearance front and rear allowing you to tuck in the bumpers for massively improved approach and descent angles to get you up and over obstacles easier than ever before! 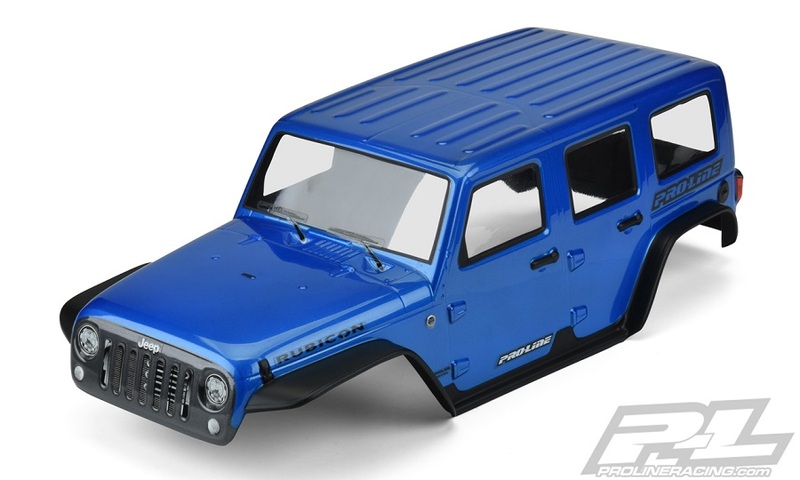 Get your Jeep® on with Pro-Line’s new Pre-Painted Pre-Cut Jeep® Wrangler Unlimited Rubicon Body for TRX-4®!